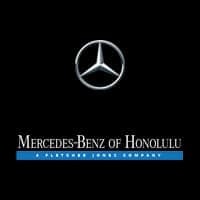 Contact Mercedes-Benz Of Honolulu today for information on dozens of vehicles like this 2019 Mercedes-Benz SL SL 450. This Mercedes-Benz includes: PREMIUM PACKAGE Keyless Start Seat-Massage Cooled Front Seat(s) Automatic Parking Hands-Free Liftgate Power Passenger Seat Power Driver Seat Heated Front Seat(s) Power Door Locks Keyless Entry Remote Trunk Release Bucket Seats DRIVER ASSISTANCE PACKAGE Lane Departure Warning Lane Keeping Assist Adaptive Cruise Control Blind Spot Monitor Cruise Control *Note - For third party subscriptions or services, please contact the dealer for more information. * With adjectives like sporty, classy, and downright indulgent to describe the 2019 Mercedes-Benz SL SL 450, you'll love every minute of owning and driving this convertible. You may never go back to a closed-cabin car! You deserve a vehicle designed for higher expectations. This Mercedes-Benz SL delivers with a luxurious, well-appointed interior and world-class engineering. Just what you've been looking for. With quality in mind, this vehicle is the perfect addition to take home.